The picture above comes from, according to the lecture below, apollo 12. Of a craft that was several hundred feet in diameter. Above is an excerpt of a lecture given by Robert (Bob) Dean, a retired US Army Command Sergeant Major who served for 28 years. In the lecture below, he provides a wealth of mind-altering information that corroborates with what many other whistleblowers have shared. The lecture was given in July 2009 at the European Exopolitics Summit, which took place in Barcelona and was filmed by Project Camelot. The fact that hundreds of such people, many of whom hold high-ranking positions, have been speaking up about this topic for decades is fascinating. It’s pretty hard to believe that so many people with verified credentials would all lie about something that could so easily damage their careers. Image of the infamous Phoenix Lights sighting. Although there is no definitive way to prove to the ‘mainstream’ world that ET is real, we now have hundreds of thousands of documents from multiple countries putting to rest the question “Do UFOs exist?” We know they do from these documents, which show objects are tracked on radar, spotted by the pilots sent to intercept, and in some cases, simultaneously tracked on ground radar. Information like this, particularly the fact that agencies are working to uncover the truth, shouldn’t really come as a surprise. 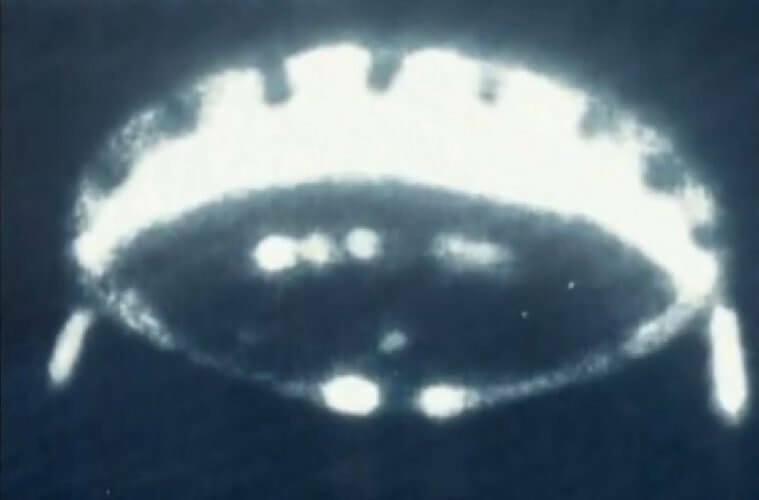 Scientists of the PRC and the Soviet Far East have begun joint study of UFO’s. The first meeting of ufologists of the two countries has ended in the small maritime townlet of Dalnegorsk. The Soviet and Chinese specialists on anomalous phenomena have mapped out a program for investigating incidents that are already known and have also arranged to directly exchange video and photographic materials on new similar phenomena. Dalnegorsk has not been chosen by chance as the place for such acquaintance. In the last few years the number of cases of visual observation of UFO’s has noticeably increased there. In just the last four years alone no less than 10 UFO’s have been recorded. Specialists link their heightened interest in places here with the variety and wealth of useful minerals in Maritime Kray. Similar, incidents have also occurred in mountainous regions in China whose climatic conditions and natural landscape resemble our own. In many cases, these testimony are given by the people involved in the incident, the military personnel mentioned in the actual files. For example, here is one dealing with an incident that took place over the Atlantic, and here is the witness testimony to match it from Graham Bethune, a retired Navy commander pilot. Ladies and gentlemen, my government, NASA, which many of us in the United States say stands for Never A Straight Answer, proceeded to erase 40 rolls of film of the Apollo Program — the flight to the Moon, the flight around the Moon, the landings on the Moon, the walking guys here and there. They erased, for Christ’s sake, 40 rolls of film of those events. Now we’re talking about several thousand individual frames that were taken that the so-called authorities determined that you did not have a right to see. Oh, they were ‘disruptive,’ ‘socially unacceptable,’ ‘politically unacceptable.’ I’ve become furious. I’m a retired Command Sergeant Major. I was never famous for having a lot of patience. Listen to the full lecture below. Where you will see the photos. Who’s Really in Control of Space? If all of this information is true, it’s quite clear that “Never A Straight Answer” is indeed an appropriate name for NASA. I’ve mentioned it before and I’ll mention it again — the United States has a history of government agencies existing in secret for years. The National Security Agency (NSA) was founded in 1952, but its existence was hidden until the mid 1960s. The National Reconnaissance Office, too, was founded in 1960, but remained completely secret for 30 years. The same is probably true for space affairs…. In the interest of a short read, and given that there is a long lecture presented within this article, I’m going to link to some other related articles that go into more detail regarding the secret space program, as well as the moon landing and film/footage from the moon, which Dean refers to above.